This week, I am pleased to introduce a guest blogger, Jane Blanchard, who has written a piece on different types of windows for older adults. Jane Blanchard is a blogger, home design geek, and graphic designer from Savannah. Sometimes windows can be very difficult to open. Luckily, there are a number of easy-to-open windows available. Whether you’re looking for great window option for a home occupied by seniors or if you’re just sick of wrestling with your windows, here we will present some of our favorite easy-to-operate window styles. With these options, you will not need to compromise style for ease-of-use. The SmartTouch® lock system designed by Milgard Windows & Doors provide an easy way to open, lock, and operate windows and doors. The locking mechanism on SmartTouch windows is incorporated directly into the window sash, creating a sleek look. The lock is easy to operate, opening or closing with a single touch. Also, you can see whether your window is locked with a quick glance. The SmartTouch system received an International Design Excellence Award from the Industrial Designers Society of America as well as an Arthritis Foundation Ease-Of-Use Commendation. The SmartTouch system is available on the Tuscany® and Montecito® vinyl windows and patio doors as well as on the Milgard Essence Series® wood windows. Because of these numerous options, there is a SmartTouch window that will accentuate any home. 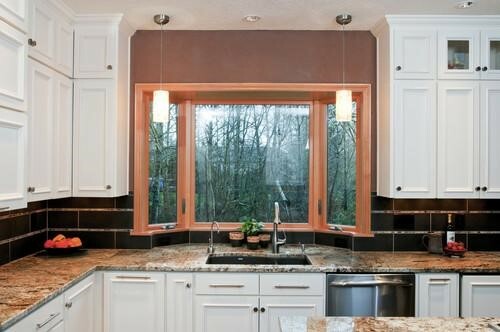 Rotary windows by Marvin Windows And Doors have a unique look that makes them especially appealing. The rotary window design has a sash that rotates easily a full 360 degrees to allow in natural light and fresh air. While these are especially helpful for tight spaces, they are also great for seniors as they are easy to open. For the easiest window operation, fully automated windows are the best option. These automated systems are also available from a variety of retailers nationwide. In addition to having fully automated windows, complementary automated systems for window treatments allow for easy overall operation. Easier to use than traditional window locks that require a user to lift, push, or pull the window, rotary handles provide a simpler means for window opening and closing. Rotary handles are small handles that are easily turned to crank the window open and then simply reversed to close the window. They come in a variety of finishes and are available from nearly any window retailer. Transitional windows work similarly to transitional lenses found in eyeglasses, darkening in response to increased sunlight. 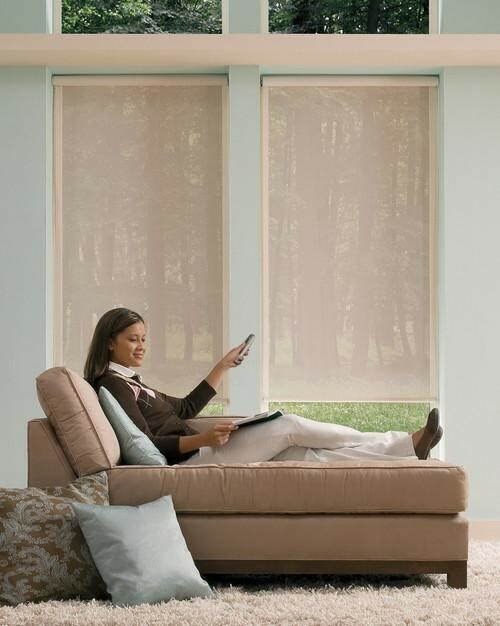 While transitional windows do not increase ease of opening and closing of the window itself, they do reduce or eliminate the need for window treatments that may be difficult to operate for many seniors. Transitional windows also reduce energy consumption by helping maintain the temperature of the home. Transitional windows are available from a number of retailers nationwide. 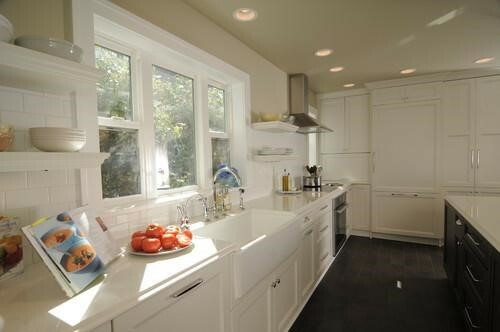 To find more design inspiration, check out Modernize.com.